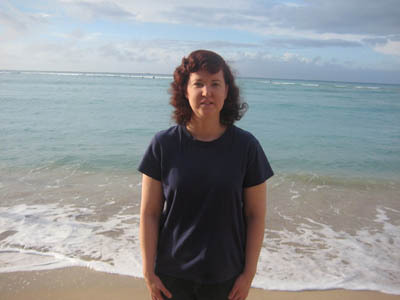 Karen Clark is a Reiki Master, a Certified Crystal Healer, a Sound Healer, and a Certified Massage Therapist. Her journey as a healer began in 2008. She was going through a career transition – looking deep into her heart about what she wanted to do next that would feel like a contribution to others. While in this process, Karen started noticing tremendous heat coming from her hands. Karen knew that she needed to do healing work with her hands. She took Reiki classes and felt in love with Reiki right away. Reiki is just not energy. Reiki is LOVE. Reiki is often referred to as the “intelligent energy”, because unlike most forms of energy healing, it will go where it is needed and does not need to be “directed”. Soon after that, Karen started her bodywork training at the California Institute of Massage & Spa Services in Sonoma. Karen has a special healing touch that helps her clients relax and let go. Karen’s sessions are intense and highly effective. She helps clients who have physical and emotional pain. Karen’s goal is to help others heal themselves.